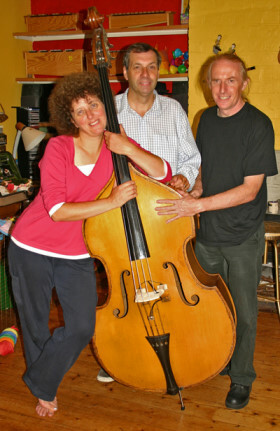 Gallimaufry are a three piece band who play all types of music and also play for barn dances and folk events. The band sings and plays a wide variety of traditional material from the British Isles on Fiddle, Bass and Guitars. The band also plays classical music and is great for all types of corporate events. Suitable for all occasions, Gallimaufry comes complete with Caller, Public Address System (tested equipment) and Public Liability Insurance Cover. Sarah teaches Violin, Pete teaches Guitar and Roger Teaches Bass.